September 2016 will officially go down as the month of the worst celeb separations. First it was Angelina Jolie and Brad Pitt. Then Naomi Watts and Liev Schreiber. And perhaps the worst was the recently wed Colleen Ballinger and Josh Evans. My heart is a million pieces. 1. This guy dropped the engagement ring in the abyss that is the baseball stadium stands while proposing on the Jumbotron. How awkward would that have been if it was never found! 3. Lady Gaga is performing at the 2017 Superbowl Halftime show! This is going to definitely be one to watch. 1. 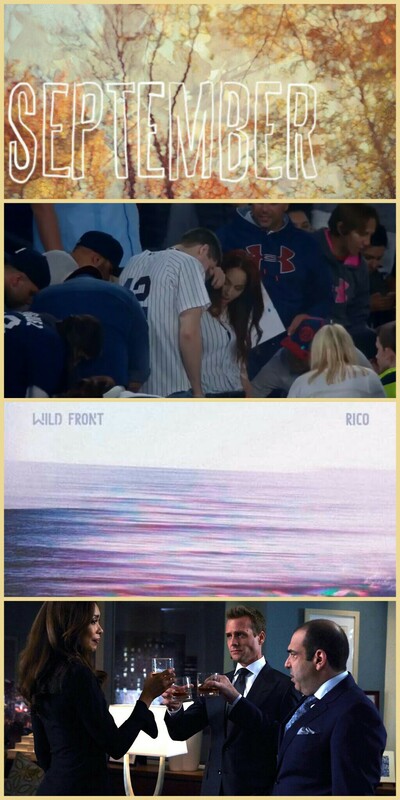 “Rico” by Wild Front. If I had a car and a license I’d probably “drive all night” to this song. Cannot wait for WIld Front to release new music! 2. “Mieux Que Tout” by Paradis. Paradis’ album was so well waited for. They needs to come to NYC soon. 3. “Tough” by Goldroom. I’m demanding a re-release of West of the West. All of the songs need to be sung by Goldroom himself! What is this nonsense! 1. Victoria Beckham dancing in Times Square. It bothers me that I work so close to Times Square and I was not around for this. 2. Damian McGinty. So dapper. 3. Ashley Benson puts eyeliner on Ian Harding. I need an explanation. 2. Lucifer, “Everything’s Coming Up Lucifer.” I can’t believe he was actually going to choke to death because Detective Decker was at the door! 1. Marcus Butler and his mum’s Never Have I Ever Bloopers. 0:22 is killing me. 2. Real things Mike Falzone heard during the second week of September. I wish he could stay in NYC for a week and then do one of these vids. It’d be a riot. 3. KickthePJ’s apartment. PJ is just too much sometimes.